Beijing is the capital of the People’s Republic of China, as well as one of the most populous cities in the world. Beijing is absolutely my favorite city in China, because it is modern and ancient at the same time, but above all it is the first city in China that I visited and where I lived for almost four years. 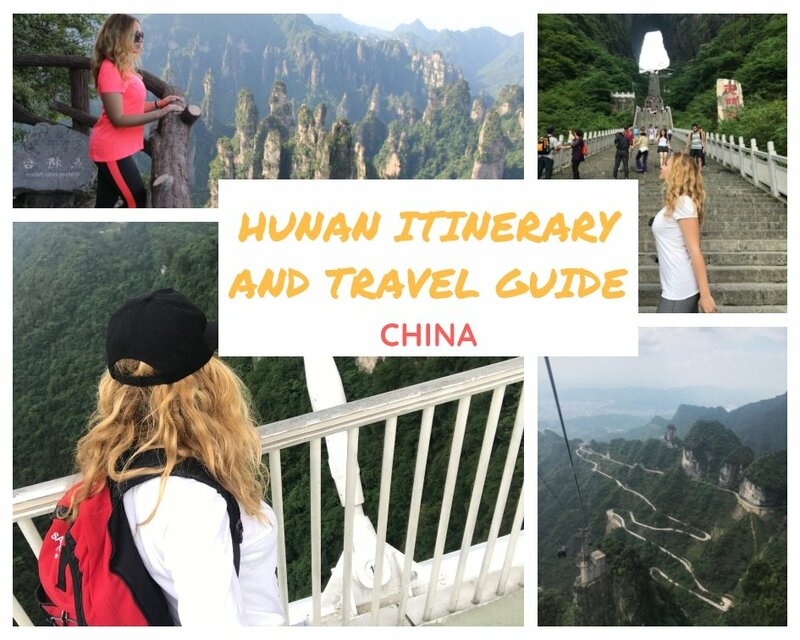 Writing an article about a trip to Beijing and Beijing’s main attractions is much more difficult than I expected, because in this city I was much more than just a tourist. Beijing is the city that made me fall in love with China and where I lived for almost four intense and unforgettable years. To write an article about Beijing, I had to travel back in time and try to remember what it meant to be there as a tourist for a short time. The Great Wall of China is for sure one of the most important Beijing’s main attractions. Going to China and not seeing the Great Wall means not having really seen China. It is, in fact, the ultimate symbol of this country, one that must absolutely be seen. 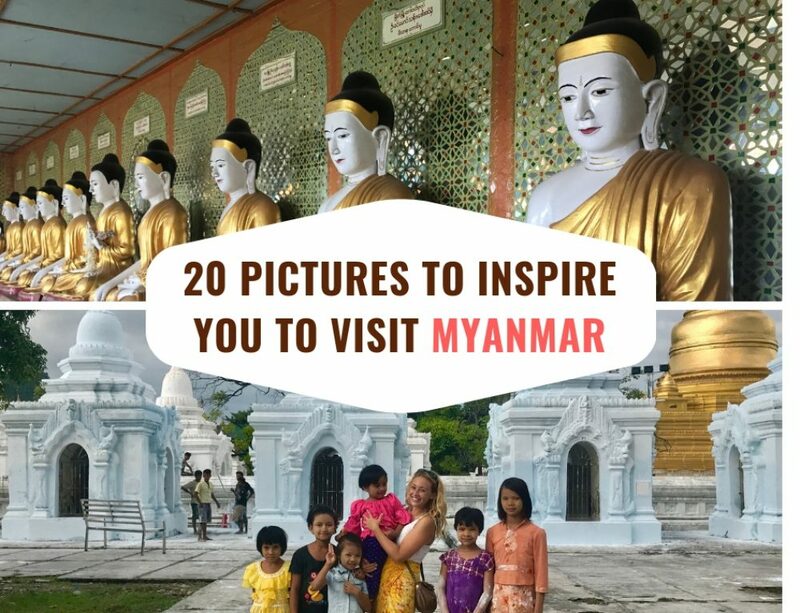 It was declared a UNESCO World Heritage Site in 1987 and was included among the seven wonders of the modern world in 2007. 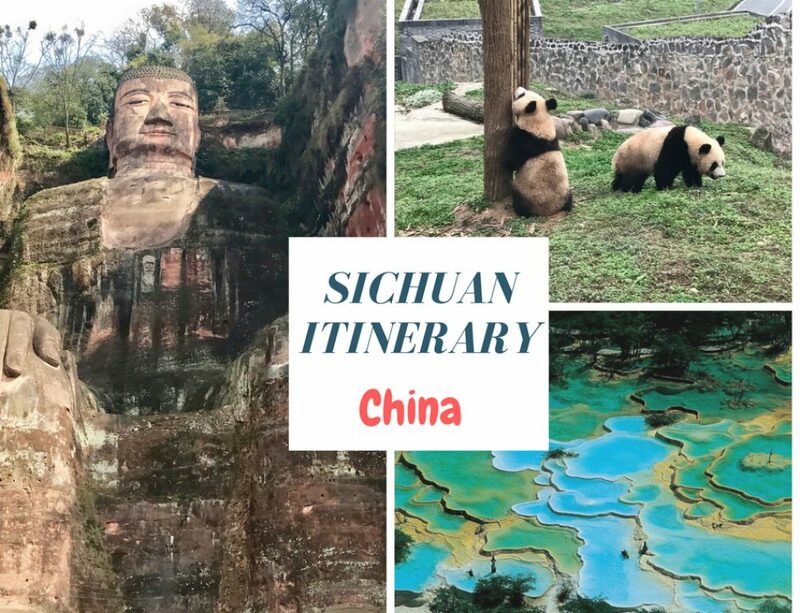 Built starting in 215 BCE at the wish of Emperor Qin Shi Huang – the same to whom we owe the so-called Xi’an Terracotta Army – it is 8,850 kilometers long. The function of this massive project, whose construction required eight years of work, was to protect the northern borders of the country and connect a series of fortresses. On the top, a corridor and watch towers allowed messengers, in case of danger, to sound the alarm and summon the troops. The Great Wall was in fact meant to serve as an impassable barrier against the attacks of the numerous nomadic tribes, mostly of Mongolian origin, who continually threatened to invade China. 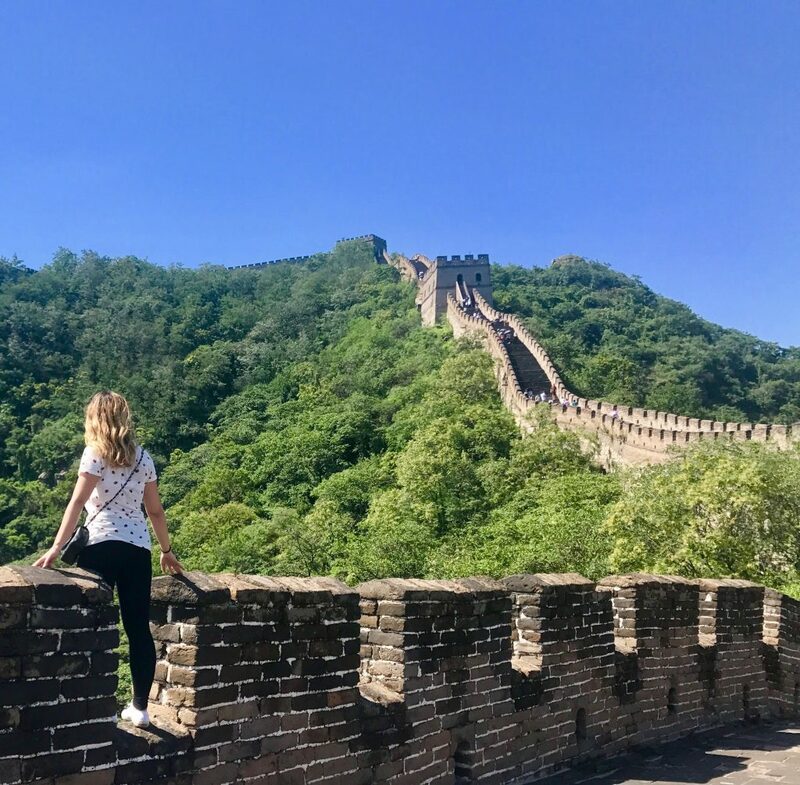 What part of the Great Wall of China should you visit? The Great Wall of China is very long and crosses nine provinces. 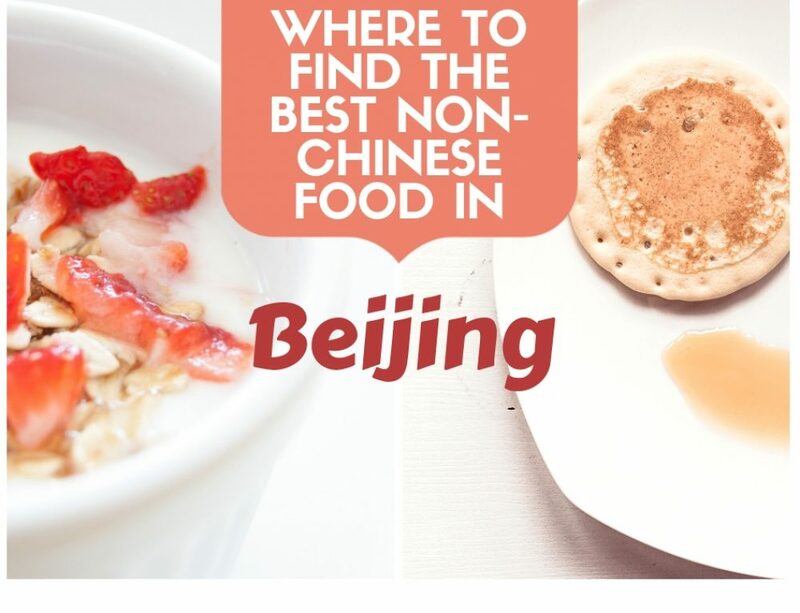 The five most recommended sections are all around Beijing. Look at the following table to make a simple comparison and decide for yourself what to visit. The Palace of Summer, Yiheyuan in Chinese, also known as the Garden of Harmony, is a beautiful and scenic park located in the northwestern outskirts of Beijing. To the north it is dominated by Longevity Hill, Wanshoushan, whereas, to the south, it opens up to Kunming artificial Lake. The size of the Summer Palace is quite substantial and covers an area of 2.9 square km, 75 percent of which is occupied by water. The Summer Palace is open every day from 7:00 AM to 7:00 PM. Admission price is 20 Chinese Yuan. 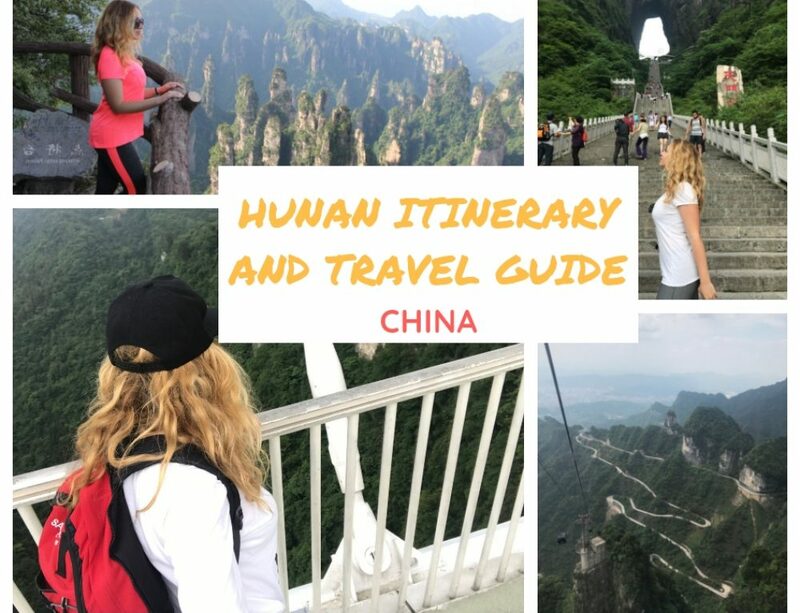 Starting from the Mausoleum of Mao Zedong, stop in Tiananmen Square, visit the Forbidden City and keep walking straight all the way to the exit gate. 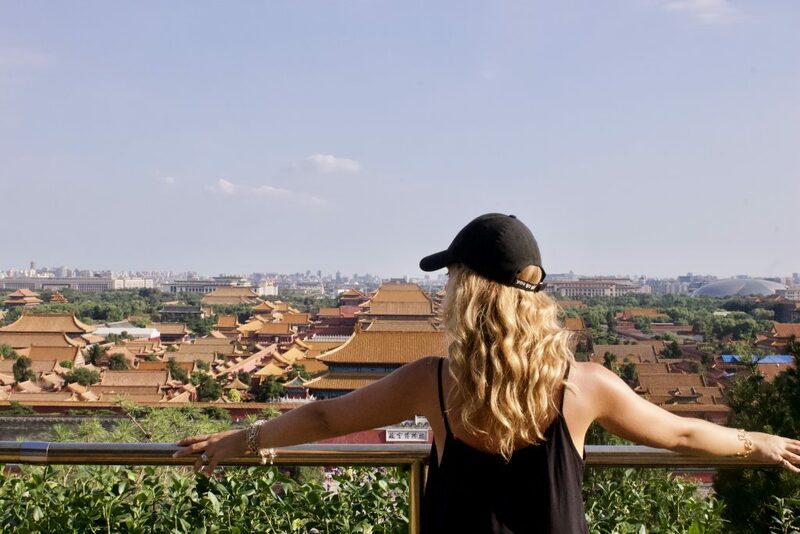 In front of you, you’ll find Jingshan Park. Walk inside and enjoy this beautiful place; once you exit, head to Beihai Park. 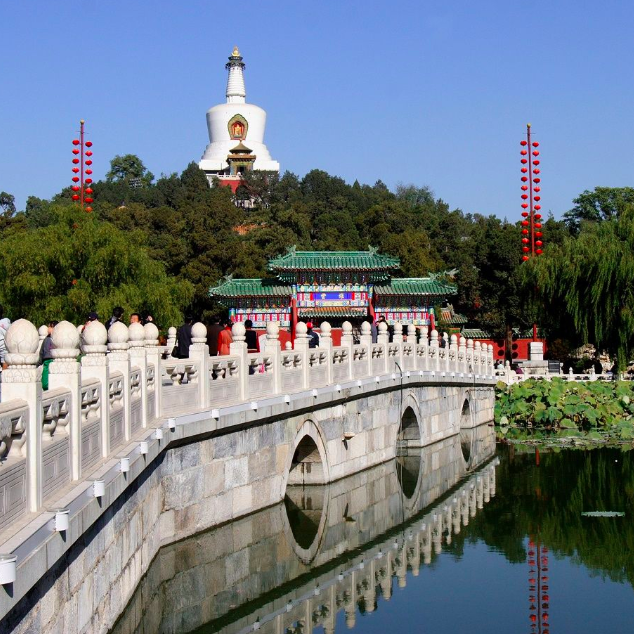 After visiting Beihai Park, take a cab or a tuc tuc to Wangfujin. The Mausoleum of Mao Tse-tung is a funerary monument located on Tiananmen Square. 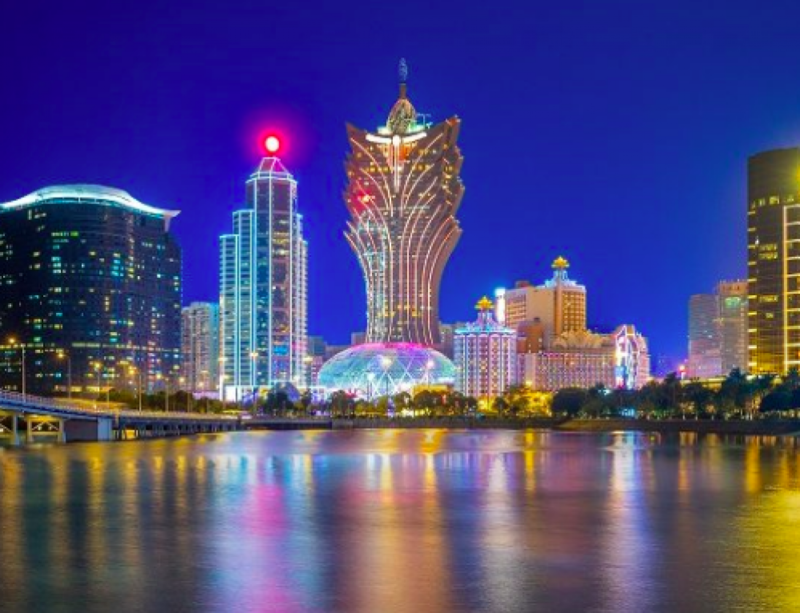 It houses the embalmed body of the founder of the People’s Republic of China. Millions of Chinese retain a deep reverence for President Mao Zedong, as is evident from the endless lines of people waiting to enter the Mausoleum and the respectful silence that reigns there. The government did not respect Mao’s will to be cremated. Twenty-two liters of formaldehyde were used to embalm his body. Although entrance to the mausoleum is free, visitors are still required to show their passport. The mausoleum is only open from 7 am to 11 am from Tuesday to Sunday (closed on Mondays). You need to bring your passport with you. Taking photographs or videos is not allowed. Tiananmen Square is the large square near the center of Beijing, which got its name from the Tiananmen (literally, Gate of Heavenly Peace) located to the north, which separates it from the Forbidden City. It is seen by many as the symbolic heart of the Chinese nation. 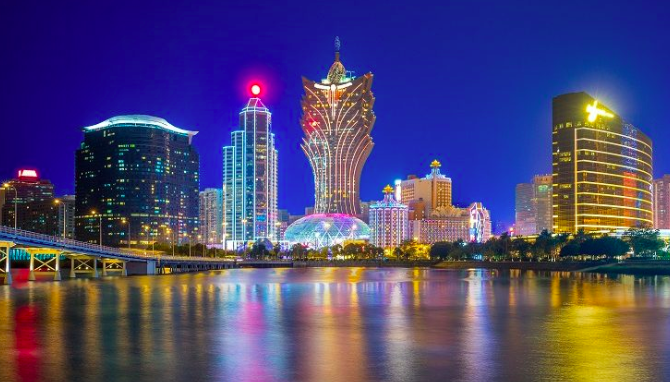 Outside China, it is especially famous for the proclamation of the People’s Republic of China by Mao Tse-tung on October 1, 1949 and for the 1989 Tiananmen Square protests. 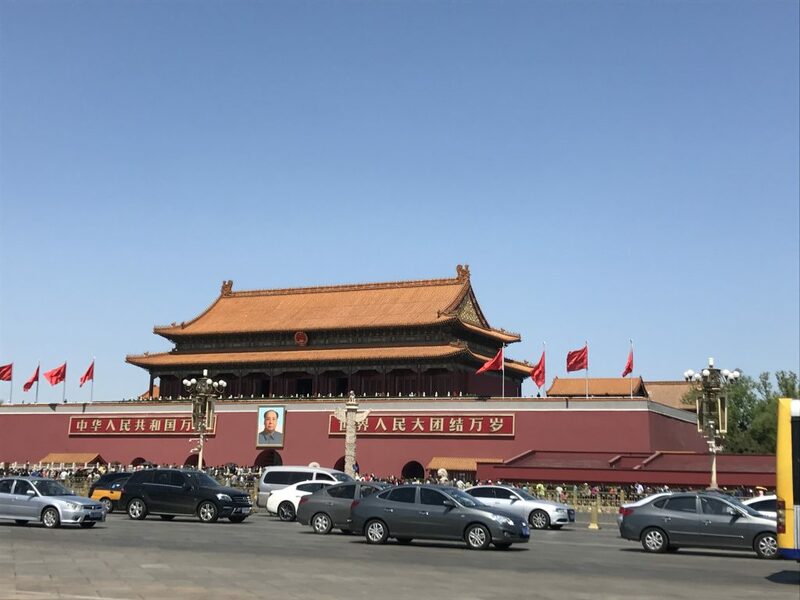 Tiananmen Square, the sixth largest public square in the world, is 880 meters wide from north to south and 500 meters from east to west, for a total area of 440,000 square meters. Things to know: expect to go through airport level security when going onto the square, including passport/ID check, so do not forget to bring your passport or at least a copy of your passport and your visa/stamp. 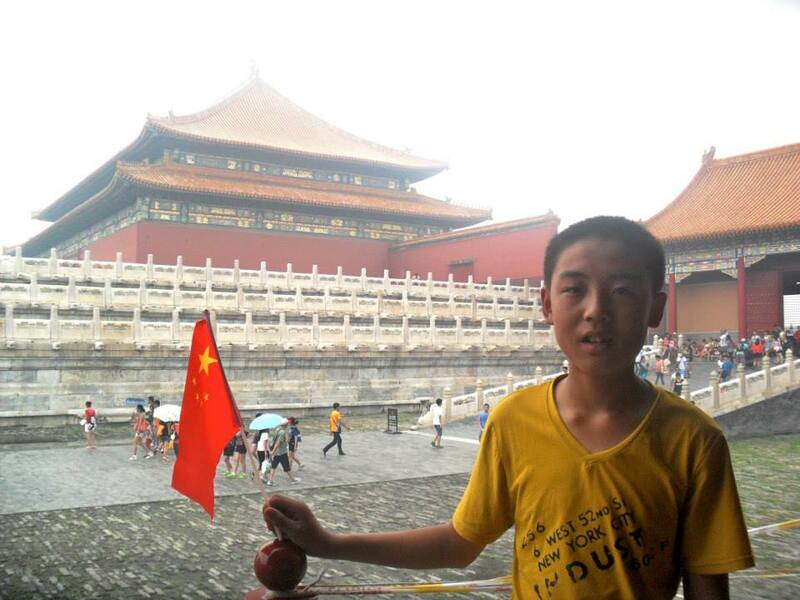 The Forbidden City was the imperial palace during the Ming and Qing dynasties. 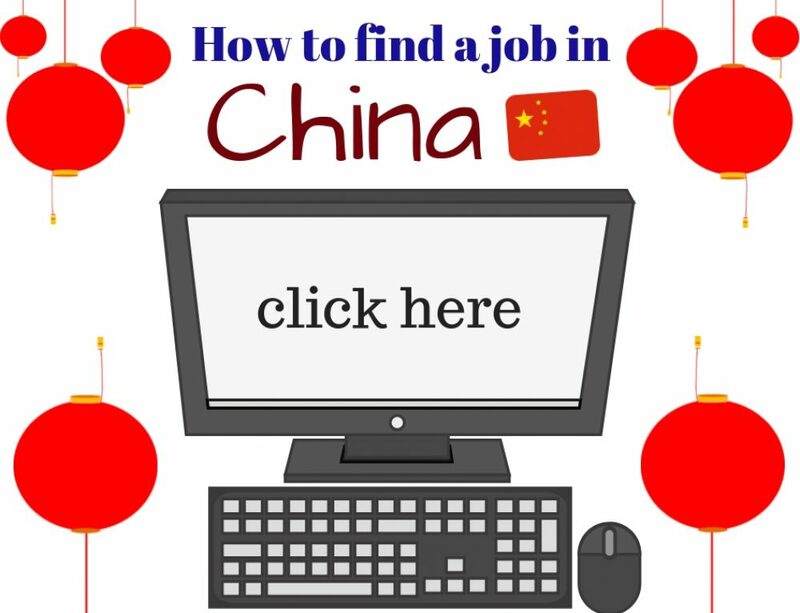 It is located in the center of Beijing, opposite to Tian’anmen Square. For nearly 500 years, it has served as the residence of the emperors and their families, as well as a ceremonial and political center for the Chinese government. Built between 1406 and 1420, the complex consists of 980 buildings divided into 8,707 rooms and it covers 720,000 m², making it “the largest palace in the world”. In 1987 the Forbidden City was included in the UNESCO World Heritage List and was recognized as the largest collection of old wooden structures still surviving today. 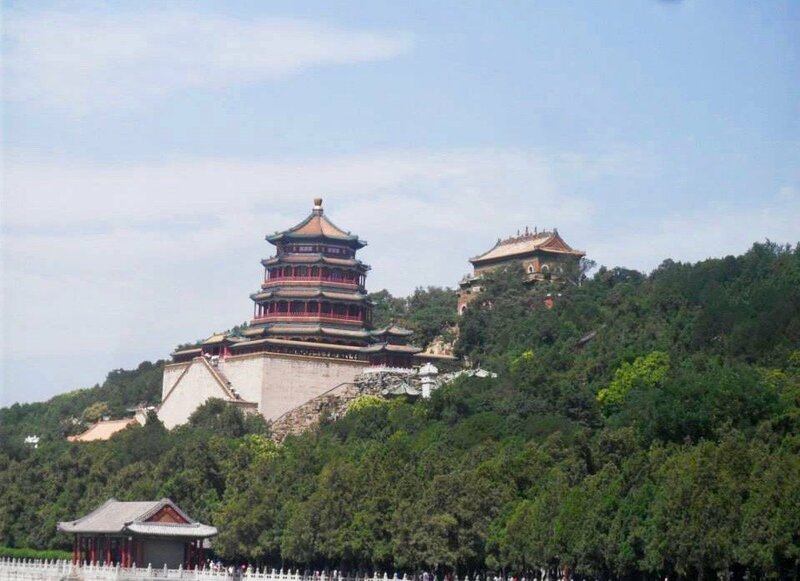 Jingshan Park (Traditional Chinese 景山, pinyin Jǐngshān) is an artificial hill in Beijing located north of the Forbidden City, on the main north-south axis of the city. Originally an imperial garden, it is now a public park, known as Jingshan Park (景山 公园). The 45.7-meter high hill was built during the Yingle era of the Ming dynasty using the soil carved out of the excavation ditches of the Imperial Palace and nearby canals. According to the principles of Feng Shui, the southern side of a hill is a favorable site for a house, and a practical one as well, given the protection it offers against the cold northern winds. This is why the imperial palaces of both Ming capitals were located south of a hill, which in this case was created specifically for this purpose and which came to be known as the “Hill of Feng Shui” or as Coal, a translation of its ancient Chinese name (煤山, Meishan). This is where the last emperor of the Ming dynasty, Chongzhen, committed suicide by hanging in 1644. 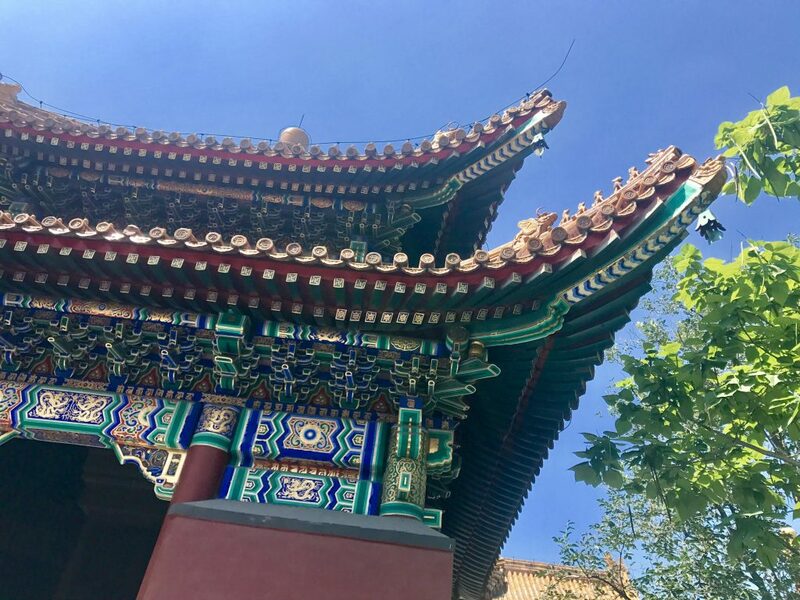 Beihai Park is located northwest of the Forbidden City, Beihai Park was built in the tenth century and remained closed to the public until 1925. It is the largest park in the city of Beijing with half of its surface covered by meadows, forests and trails and the other half by a picturesque lake with colorful fish and lotus flowers. Wangfujin Street has been host to commercial activities in Beijing for many centuries. Today, this place is very popular with shoppers and tourists who flock here in search of bargains. This busy commercial thoroughfare has benches, bars, and restaurants, all offering plenty of rest stops. 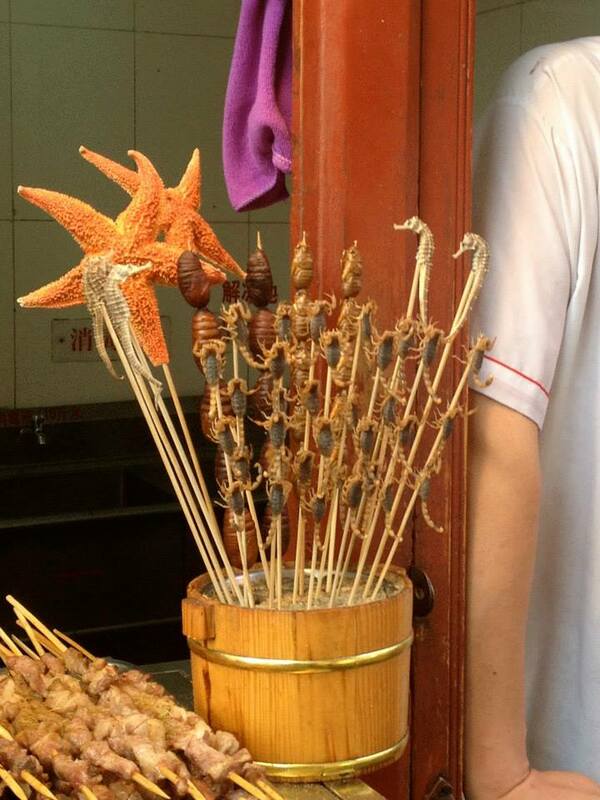 Moreover Wangfujing Street is famous for street food… including insects and other unusual… unique snacks, such as SCORPIONS! The first time I visited this street I was super excited and at the same time disgusted by seeing all of those insects. However, I decided to try scorpions anyway and I was very surprised by the fact that the flavor was not bad at all! 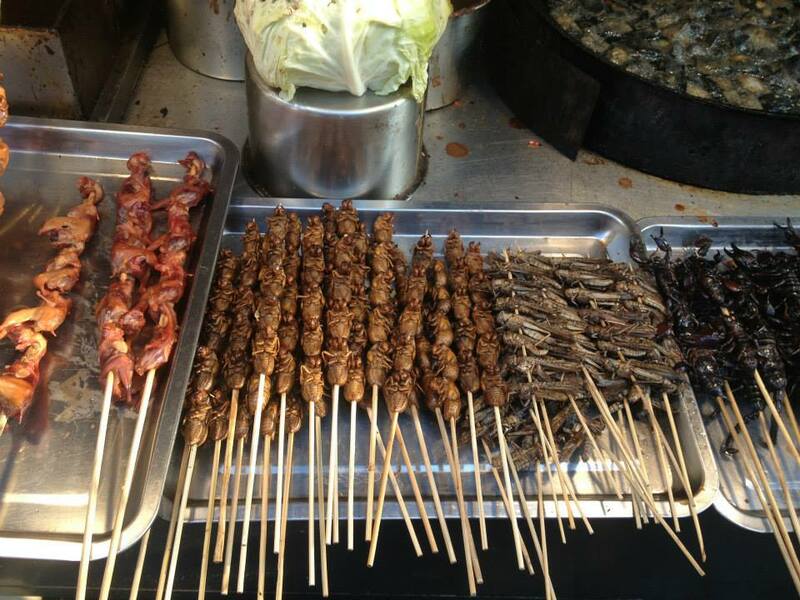 So, if you can overcome the fear of insect I recommend this culinary experience and try scorpions or any other insect! It is a complex of Taoist cultural buildings. The temple was used for the cult of “Heaven” (Tian), the main deity of the traditional Chinese religion, with the emperor officiating sacrificial ceremonies to invoke the timeliness of wind and rain and peace under the sky. The emperor of China was in fact called “Son of Heaven” and in this capacity, he ruled the country and its people. The construction of the temple began in 1420 and was subsequently visited by every emperor of the Ming and Qing dynasties. The Lama Temple (雍和宫 Yōng hé gōng in Mandarin Chinese) is the largest Tibetan Buddhist temple in Beijing and holds the largest wooden Buddha in the world. Its name means Temple of Harmony. The Yonghe Gong was built in 1694 by order of Emperor Kangxi, as a testimony of the strong devotion of his House to Tibetan Buddhism, and of the attention that the Celestial Empire had for Tibet, which had been recently incorporated into its lordship, and for the Mongols, also followers of the lamas. The structure of the monastery reflects the relationship between Tibetan and Mongolian Lamaism and Chinese culture: the architectural style is Chinese, the furniture is more mixed and the inscriptions are in four languages, namely Chinese, Mongolian, Tibetan and Manchurian. The Temple of Confucius in Beijing is where people paid tribute to Confucius during the Yuan, Ming and Qing dynasties and is also one of my favorite Beijing’s main attractions, maybe because this is the first temple that I visited during my first time in Beijing. Its construction began in 1302 and continued until 1306. The main building is decorated with yellow enamel tiles, which used to be considered a symbol of the highest standards of construction. The temple’s rich and large-scale design was meant to fully reflect the status of the royal family. The Temple of Confucius covers 20,000 square meters and has four separate courtyards. The main structures are the Xianshi Gate, the Dacheng Gate, the Dacheng Pavilion and the Dacheng Temple. Across from the temple are the Lapide Pavilion, the Shensheng Pavilion and the Bene Pavilion. To the west of the temple are the Lapide Pavilion, Zhizhai Hall and Chijing Gate, which is connected to Guo Zijian. Both sides of the courtyard outside the temple are lined with a total of 198 inscribed stone tablets from the Yuan, Ming, and Qing dynasties, precious antiquities that show the history of ancient Chinese exams. Sacrifice rituals were held in the Dacheng Hall. 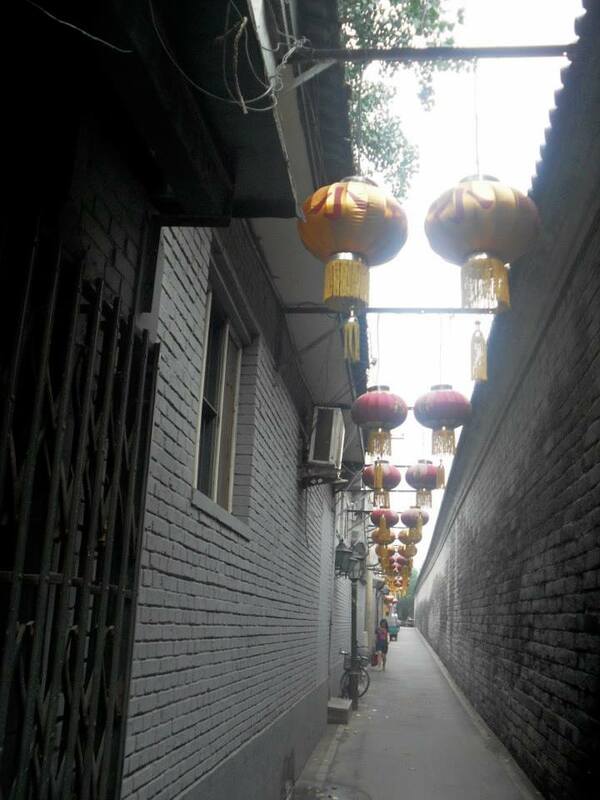 Hutongs are narrow streets or alleys, usually associated with the city of Beijing. In Beijing, hutongs are alleys formed by rows of siheyuan, the traditional Chinese courtyard houses. Many neighborhoods are formed by connecting several siheyuan together to form a hutong, and then multiple hutongs to form an entire district, which is what the term hutong often refers to. Unfortunately, starting in the mid-twentieth century, the number of hutongs in Beijing has been dramatically decreasing since many were torn down to make space for new and modern buildings and wider roads. Recently, more effort has been put into the protection of the remaining Hutongs to preserve this important aspect of Chinese history and culture. Houhai (Chinese characters: 后 海; pinyin: hōuhǎi) is a lake in central Beijing. In recent years, the area has become known for its nightlife and for the selection of trendy bars, restaurants and cafes. Geographically, Houhai is located behind Beihai (Beijing’s largest park, which also includes a lake) and is surrounded by hutongs, although it is not considered a hutong itself. The 798 Art District takes its name from a military factory complex that was built in the 1950s. This place is one of my favorite Beijing’s main attractions and one of the places that I visited the most while living in Beijing. It is famous for its unique art exhibitions and its extraordinary creative workshops. 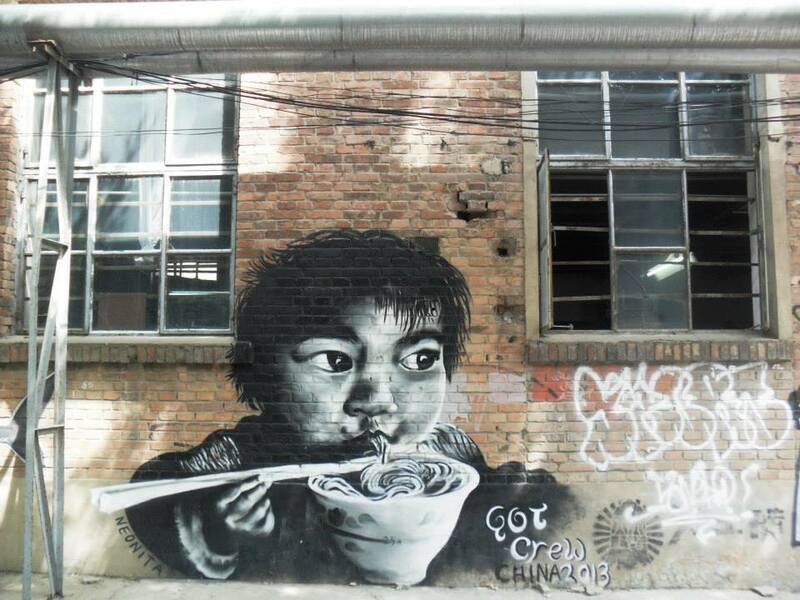 Today, the 798 Art Zone has become a fundamental reference point for Beijing’s urban culture. 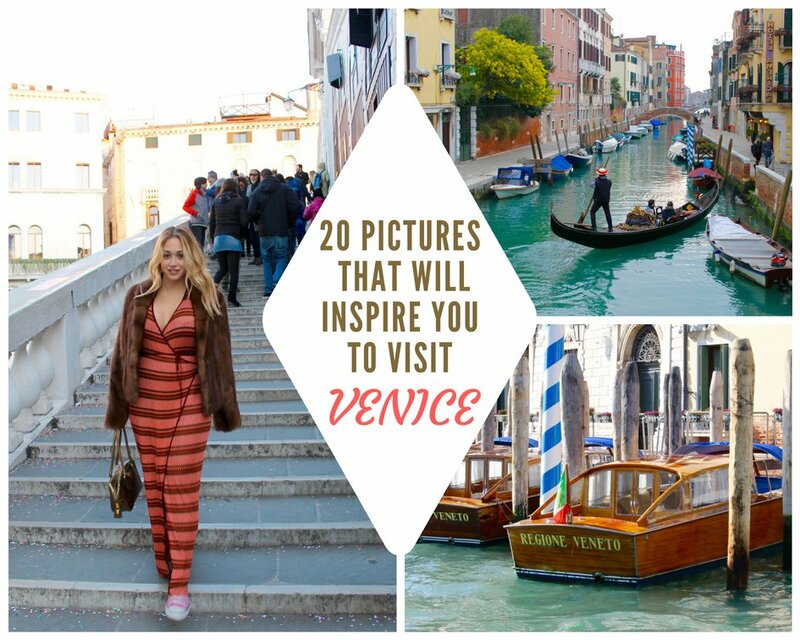 In 2003, it was awarded as “one of the top 22 most famous places in the world” by American Time Magazine. Sanlitun is definitely not a historical or cultural spot in Beijing, but it nevertheless has great vibes! 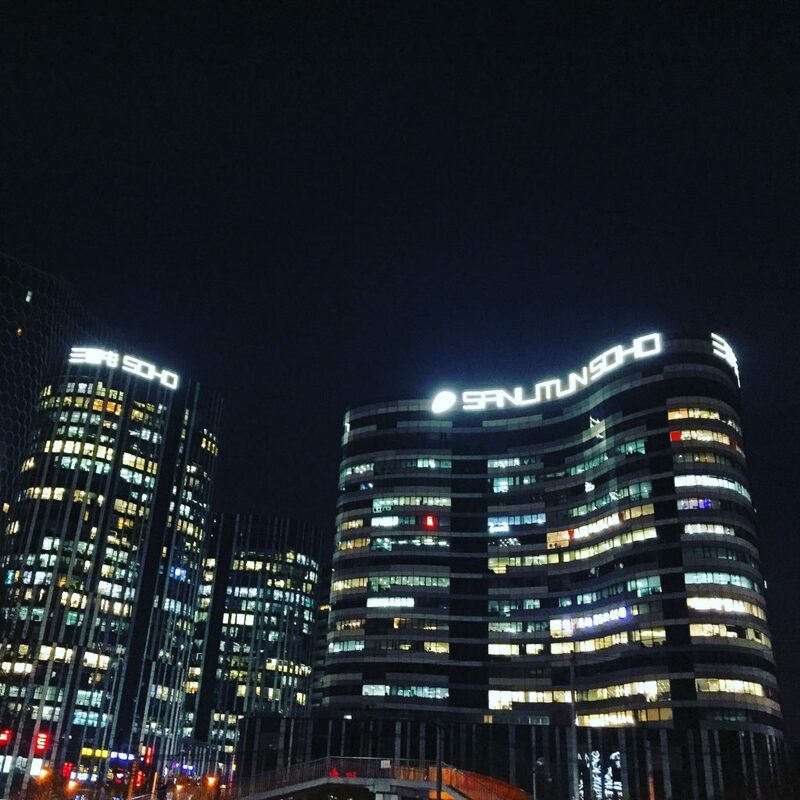 In fact, Sanlitun is where most expats (me included!) 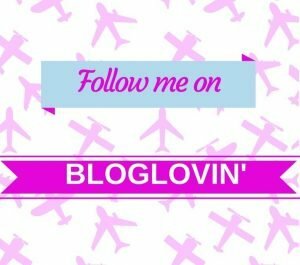 live in Beijing and where lots of fancy restaurants and clubs are located; it is the heart of the Beijing nightlife, but also a very cool place during the day. 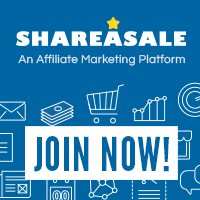 Plus, there are some great stores nearby. 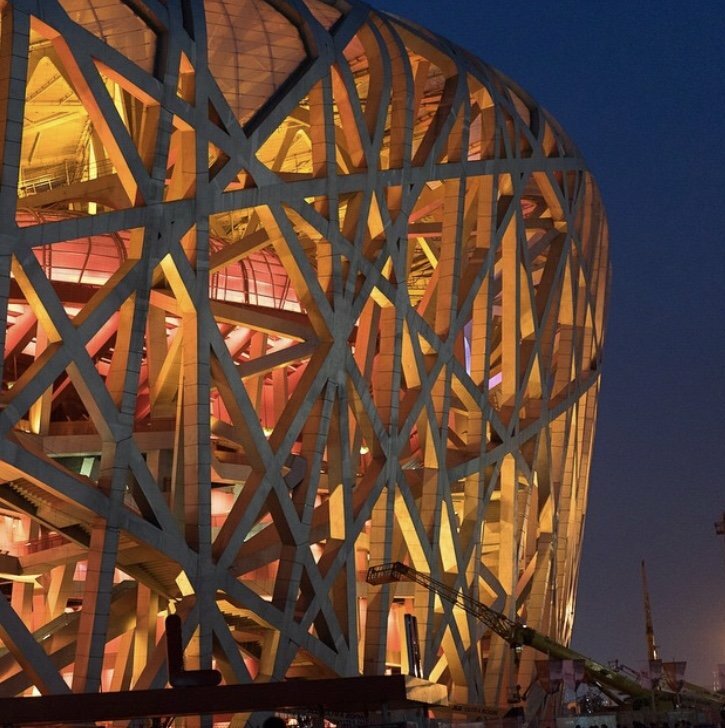 Beijing Olympic Park is where the 2008 Beijing Olympic Games and Paralympics took place and is for sure one of Beijing’s main attractions. It occupies a total area of 1,159 hectares of which, 680 hectares in the north are covered by the Olympic Forest Park, 315 hectares make up the central section, and 164 hectares in the south are scattered with venues from the 1990 Asian Games. I recommend a visit to the Olympic Park when it’s dark as the lights of the so-called bird’s nest are quite impressive. 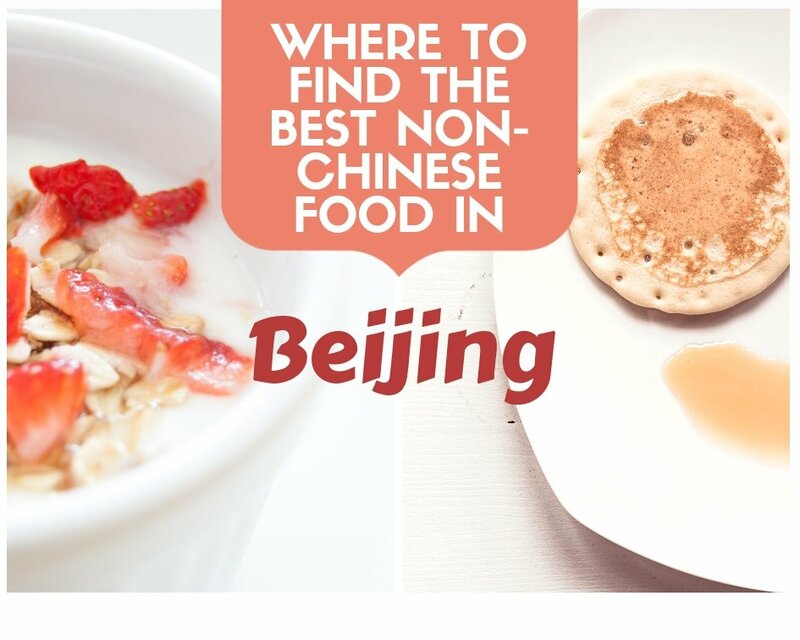 You can also check this Lonely Planet guide about Beijing’s main attractions. 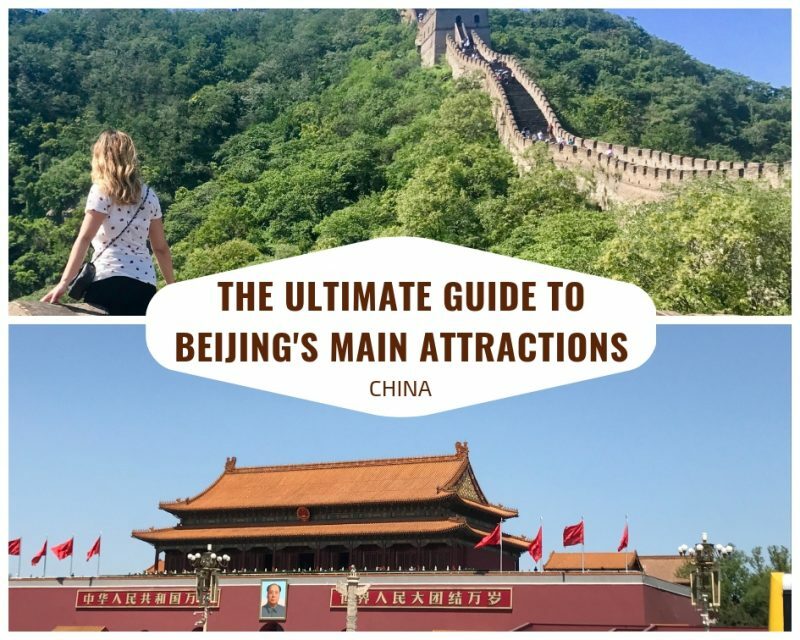 Did you like my Guide To Beijing’s Main Attractions? Let me know in the comments!